Home » Posts Tagged "glide path to zero"
The House K-12 Education Budget Committee met this afternoon to finish their amendments to HB 2410. They began with opening comments by Chairman Larry Campbell (R-Olathe). Campbell said it was his intention to finish the amendment/debate work today but not to pass the bill out of committee. Instead, he hopes that the three-week legislative break in April will allow stakeholder groups, other legislators, legislative counsel, and the revisor’s office to thoroughly digest the bill. The Committee will then meet at the start of the veto session in May and “kick it out” of committee. The first amendment to be taken up was Rep. Adam Smith’s (R-Weskan) amendment on transportation that was on hold since last week. Working with the Department of Education, Smith adjusted his amendment such that an algebra issue is fixed but he added a hold harmless provision so no districts lose money. About 25 districts will gain. The amendment was adopted. 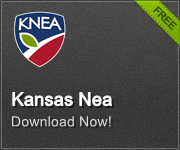 KNEA supports a hold harmless provision. The next amendment adopted was from Rep. Jim Karleskint (R-Tonganoxie). It changed the corporate tuition tax credit program so that eligible students would have to be from one of the schools in the lowest quartile of student achievement as determined by the KSDE. This would triple the number of schools from which eligible students may be chosen. With other amendments adopted last week, the program would limit eligible students to those direct certified by DCF as in poverty and limit receiving private schools to accredited schools that outperform the state average on either post-secondary success or ACT composite scores. KNEA opposes expansion of eligible schools and supports limiting schools to SBOE accredited schools; KNEA supports repeal of the program in its entirety. Next were a series of amendments offered by Clay Aurand (R-Belleville). The first would disallow virtual students from out of district to be counted for the calculation of assessed valuation per pupil. This would reduce capital outlay and LOB aid (more on that in a minute) because only resident students would count in the calculation and would save the state about $3.8 million. This amendment was adopted. Next Aurand moved to distribute the $3.8 million in savings over to career and technical education programs. This amendment failed. Aurand’s next amendment, which passed, changes the name of the LOB from “Local Option Budget” to “Local Foundation Budget.” He asserted that this more accurately represents the fact that the LOB morphed from extra money to de facto base aid. So the LOB (mentioned above) will now be called the LFB if the bill passes. A subsequent amendment by Aurand to require an election for any LFB funding above 30% (the last 3%) failed on a vote of 7 to 9. With all of these amendments now disposed of, they got on to the big issue – the setting of the base state aid per pupil. Rep. Melissa Rooker (R-Fairway) moved to set the base at $4040/pupil in the first year at a cost of $172 million. The base would be increased by $200 per pupil in each of the succeeding 4 years at a cost of $150 million per year. This would be a total increase of $772 million over five years. There was an 8 to 8 tie vote which was broken by the Chairman who voted no. The motion failed. Rooker then moved to set the base at $4006/pupil in the first year at a cost of $150 million. The base would be increased by $200/pupil in each of the succeeding 4 years at a cost of $150 million per year. This would be a total increase of $750 million over five years. This motion was adopted by a vote of 9 to 6. With the bill finished, Campbell announced that the final written product would be available sometime over the next couple of days and posted on the KSDE website along with cost runs developed by the Department. The news out today on the tax reform debate is that the Governor – who created the disastrous tax experiment that has left Kansas on the brink of bankruptcy – has decided to create a new tax plan. Word was that this plan would include keeping two brackets and mixing in a little cigarette and liquor taxes. No word on his intentions on the LLC loophole or the glide path to zero but we assume he would not dare to reverse his signature tax policies. His plan was to skirt the full Senate and House and send his plan straight to a tax conference committee, letting only six legislators have any real say in the plan. That did not go over well with any members of the Republican caucus. Senators on the conservative and moderate sides of the caucus both blasted the idea of cutting them out of the discussion. Now the Governor has announced that he would sign a flat tax bill should the legislature send him one. Of course, a flat tax punishes middle and low-income Kansans for the benefit of the wealthy (MORE HERE) and would do nothing to solve the disaster brought on by the Governor’s last tax plan. 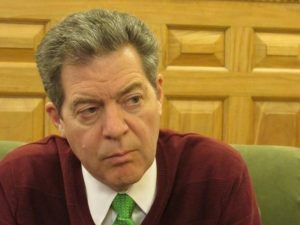 Kansas needs tax reform that will reverse the Governor’s failed experiment. End the glide path to zero, repeal the LLC loophole, re-establish the third tax bracket for upper-income Kansans. Kansas desperately needs revenue to put highway maintenance back on track, to hire correctional officers and highway patrol officers, to fund the social service safety net, and to respond appropriately to the Supreme Court decision on school finance. No plan proposed yet this session would do this.